Daily Bed Tea with Cookies, Breakfast & Dinner. Two Point local sightseeing - Jakhoo Temple and Viceregal lodge. Two glasses of hot milk & Two bottles of mineral water every night. 10% discount on additional food bill, billiards/pool, laundry and hotel shop. Situated in the exquisite hill sides of Shimla, the hotel is created to match the mood of its beautiful romantic surroundings. 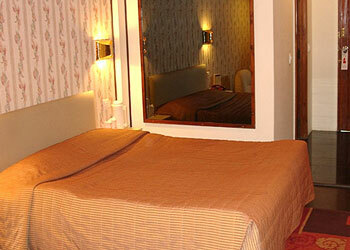 Hotel is located just 10 minutes walk from the 'Lift', the center point of the Mall. The rooms are thoughtfully added with all modern amenities such as running hot/cold water, bathrooms with bath tub, laundry service, 24 hour room service, cable television, convector heating, telephone with EPABX and wall to wall carpets. Hotel is appointed with multi-cuisine restaurant, conference hall, library, horse riding, pool table, video games, discotheque, tuck shop, accepts all major credit cards and doctor on call. 4th Night stay on room only basis (Subject to Room Availability).